Mr Guisasola is a Consultant Orthopaedic Surgeon at Royal Liverpool and Broadgreen University Hospital Trust specialising in Shoulder and Elbow Surgery He has a particular interest in keyhole surgery for shoulder and elbow conditions and reconstructive and replacement surgery of the shoulder and the elbow.Mr Guisasola obtained his medical degree from Navarra University in Spain. His orthopaedic postgraduate training was then undertaken inMadrid(Spain). 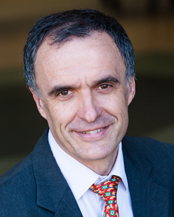 Mr Guisasola subsequently took up consultants post in San Sebastian where he practised from 1992 to 2002. Mr Guisasola then moved to Blackpool in 2002 and practiced there as Consultant Orthopaedic Surgeon with a special interest in Shoulder and Elbow Surgery. Since 2009 he works in Liverpool at the Upper Limb Unit at Royal and Broadgreen University Hospital.